Our proposal for the lobby of Aspen Re aims to create a distinctive quality of space by encouraging the integration of light based artworks into the structure of the reception area producing a considered and resolved installation. 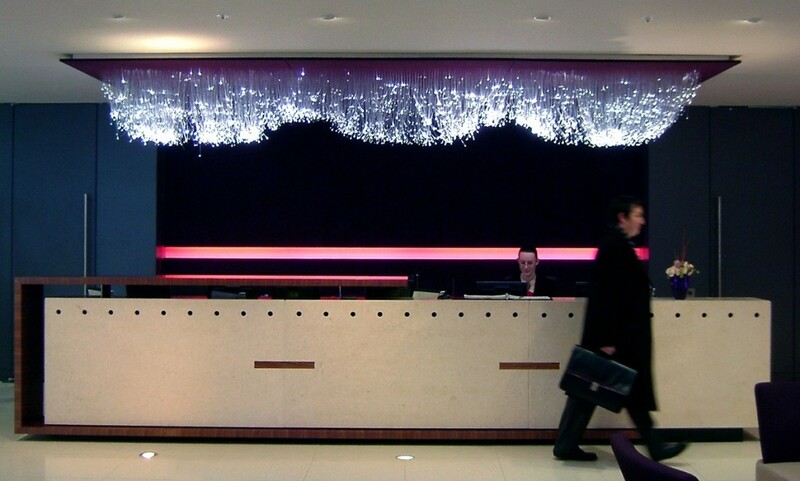 It is envisaged that a flocked vertical background to the reception desk will curve over to become a horizontal false ceiling to the desk area. The surface of the flocked horizontal plane will be pierced by thousands of end emitting optical fibres producing a variety of pinpoints of light, which together would be enough to provide illumination at the desk below. Set into the vertical flocked surface would be a horizontal slot cutting across its width, which would emit an internal glow of an orange/ pink hue giving an impression of an apparently infinite space within. 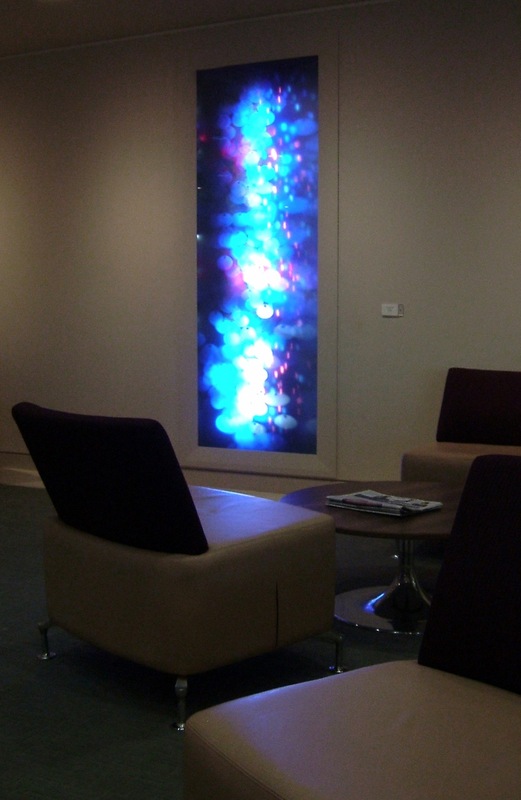 In the wall opposite the reception desk and adjacent to the seating area we propose installing a piece of work which we envisage would be approximately 1m wide by 2.5m high. 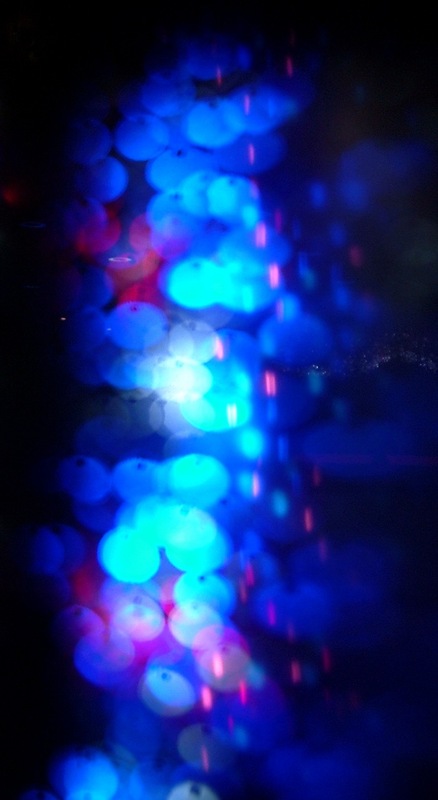 It would have reflected patches of coloured light playing across its surface in a constantly shifting and shimmering display of light and shadow engaged in a dance across the surface of the treated glass. The work would have a strong presence in the waiting area and would provide an engaging visual attraction, which will offer an effective promotional statement with regard to quality of the company. We are currently thinking of a royal blue flock for the covering of the external surface of the wall and ceiling although that could be subject to discussion particularly as the flock can be mixed to any colour. The flock will provide a distinctive intimate and quiet space for the reception desk to be set within, whilst the fibres and glowing slot will offer glamour, mystery and engagement proffering a unique installation and setting a tone of quiet cultured and forward looking service providers.